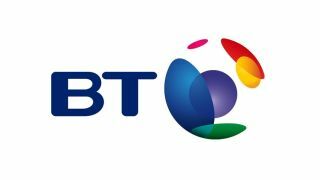 BT has said it can now connect fibre broadband into more than 16 million premises around the UK, and that it is making progress with the number of customers taking up its service. Its financial results for the first quarter of 2013-14 include a statement that 265,000 connections were added during the period, taking the total 1.7 million homes and businesses. BT is claiming a 50% retail share of the broadband market, which it says grew by 189,000 over the quarter. Ian Livingstone, BT's Chief Executive, said the fibre broadband roll out is at the heart of the company's plans for growth. It is beginning to face more competition in the market as other service providers step up their efforts in marketing and selling fibre connections. BT signed nine regional deals to extend high speed broadband, taking the total to 29, but could be under pressure from Ofcom's proposals to cut wholesale prices and its Wholesale Broadband Access Review, which is looking at competition in the market. It has also come under pressure from Parliament's Environment, Food and Rural Affairs committee, which has suggested it should be more open over its costs on broadband provision in remote areas.